Single channel video projection/installation, no sound. Duration: 7 minutes. Dimensions variable. Compound Focus responds to ideas of the pictorialist photography movement, active around the turn of the twentieth century, which embraced the reciprocal influence emerging between the mediums of painting and photography at the time. 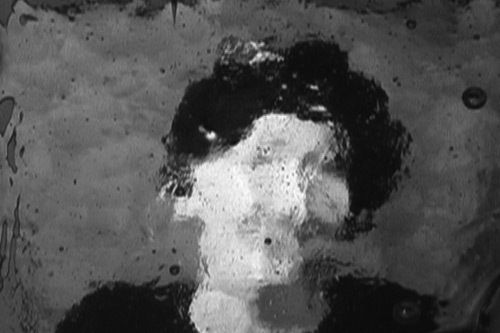 The project consists of a series of video portraits re-shot through a slab of glass. 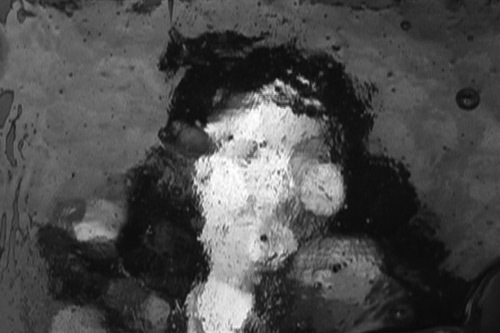 The glass, which had been poured onto cool graphite, exhibits a dappled texture of chill marks which distorts the portrait images, giving them a painterly effect that is reminiscent of Tonalist and Impressionist styles, which the pictorialist movement often sought to emulate as a way of raising the artistic value of photography. While it is possible to achieve these kinds of effects in post-production digital editing, this work consciously avoids such processes; and instead emphasizes the role of the photographic/video lens as both window and optical device. 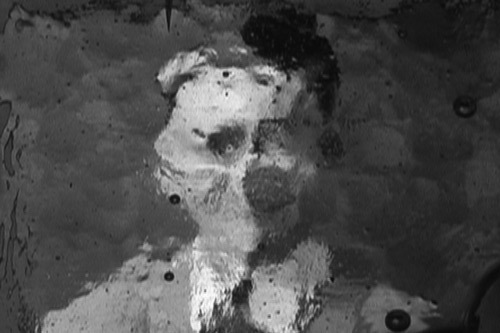 By using the material qualities of glass to achieve a painterly effect in a digital video work, Compound Focus draws connections between earlier media and "new" media, emphasizing the intertwined influences of optical and visual technologies.